What Are Some Interesting Facts About Owls? North America is home to 19 different owl species, including the snowy owl, great gray owl and great horned owl. The owl in the “Harry Potter” book series is a snowy owl while the great horned owl is the only animal that preys on the skunk and is the most powerful common owl in the United States. 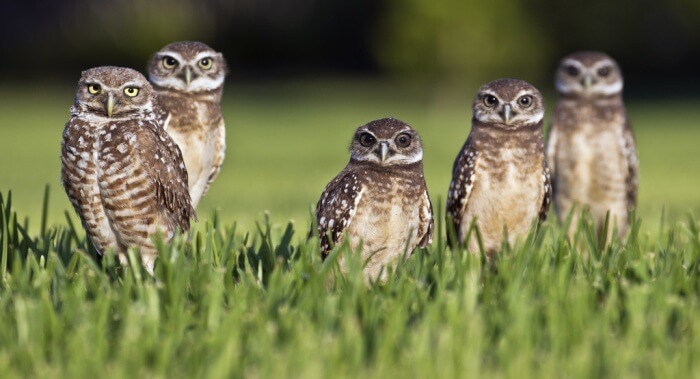 Owls have very astute hearing and can hear a mouse squeak from as far away as 900 feet. Its excellent hearing and its keen vision in low light make it a great nighttime hunter. Owls are nocturnal by nature, although they can sometimes be seen in the early morning or late afternoon hours.